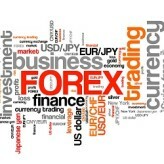 Trading Forex for a Living! Against all the believes of people and from novice traders I do say that trading Forex for a livng is a big and hard effort and a stressful job too. I do also say it is a very rewarding job on the other side and I have to say it is fun too if it fits your character. It is not easy to quit the day job and give yourself to forex. Remember that trading Forex for a living is doing a withdrawal from your trading account every month without harming your trading performance and without harming your life style. Or better, if a person likes trading would say that trading is fun because if you enjoy trading you would just love it. It does give you the possibility to live a good life and to work within time zones that are impossible for any other job to have but it is not easy to master this big monster. Never forget that you will not learn forex thanks to a system but you have to learn forex by understanding what are the market movers and learning to trade what you see in the charts. This can make you profitable on the long run and can make you live well from trading. Learn to understand the market moves and learn to understand the main points within your chart in front off you. Tomorrow I shall post a ‘typical day’ on cable and with the comments that would have pointed out the day’s activity for you to understand what I mean with this. But ultimately back to our main subject, yes it is possible to start trading Forex for a living and yes it is possible to live without pulling down your lifestyle. You do need patience, you do need time, training and you do need your mind focused on your trading. Learning by doing yes but learning well, use demo trading before creating your trading style and learn to read the markets nothing more then that can be constantly profitable in the long term. This is what you need at the end of the day, long term profitability and strength in your trading.